(Newser) – Boeing didn't tell airline pilots about features of a new flight-control system in its 737 MAX that reportedly is a focus of the investigation into last month's deadly crash in Indonesia, according to pilots who fly the jet in the US. Pilots say they were not trained in new features of an anti-stall system in the aircraft that differ from previous models of the popular 737, the AP reports. The automated system is designed to help pilots avoid raising the plane's nose too high, which can cause the plane to stall, or lose the aerodynamic lift needed to keep flying. The system automatically pushes the nose of the plane down. But if that nose-down command is triggered by faulty sensor readings—as suspected in the Lion Air crash—pilots can struggle to control the plane, which can go into a dive and perhaps crash, according to a Boeing safety bulletin and safety regulators. The bulletin included new details on how to stop a runaway series of events from leading to a crash, pilots say. "It is something we did not have before in any of our training. It wasn't in our books. American didn't have it," says Dennis Tajer, a 737 pilot and spokesman for the pilots union at American Airlines. " 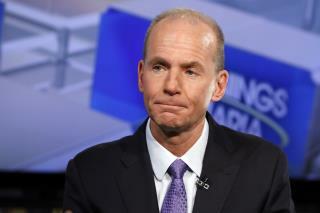 Boeing Chairman and CEO Dennis Muilenburg said Tuesday that the company remains confident the MAX is a safe airplane. He said Boeing did not withhold operating details from airlines and flight crews. Brilliant, Boeing -- taking lessons from Airbus, are we?